Why Choose BLOCKED GUTTERS ? BLOCKED GUTTERS is a Surrey County Council Trading Standards approved gutter cleaning, repairing & replacing company working in partnership with Checkatrade. Feel safe knowing that BLOCKED GUTTERS uniformed professional staff are fully insured and clear of any Criminal Record's. 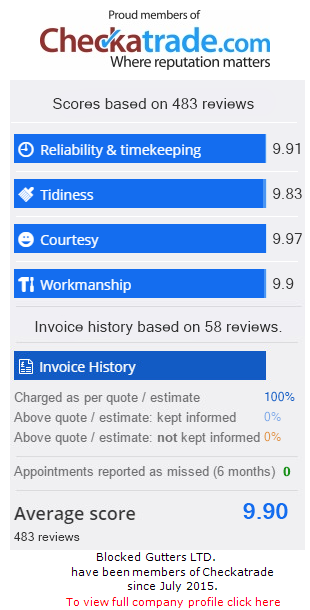 Despite the intensive guttering service we provide our customers, you will find it difficult to get a more competitive price.